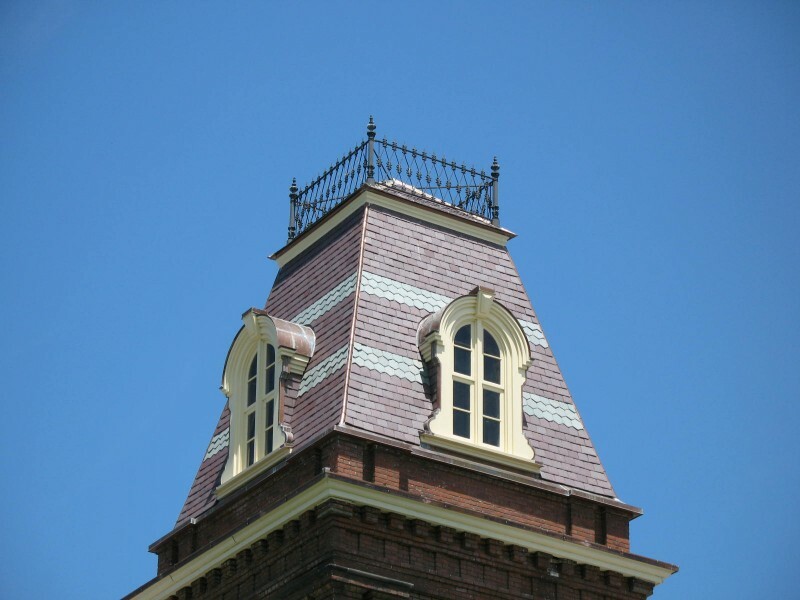 Replacement of slate roofing, flat seam copper roofing, and standing seam copper roofing at the two main house towers of the College’s first building, designed c.1864 by James Renwick, Jr., including associated flashing, masonry, and carpentry work. 2 bands of hexagonal slates. 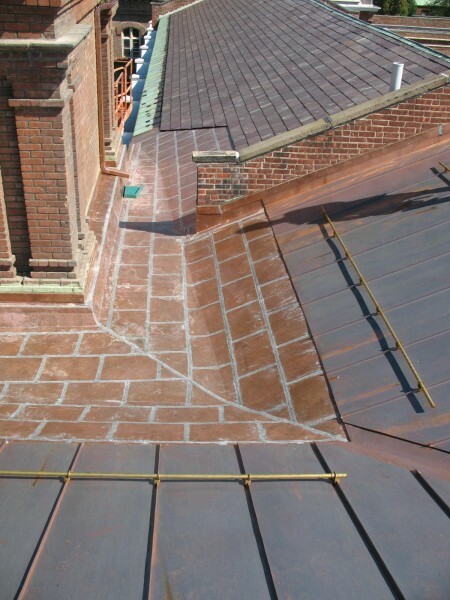 Copper hip flashings interwoven with each course of slate. 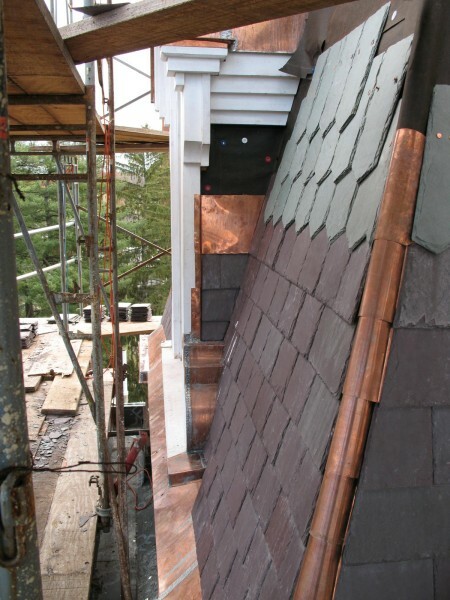 Flat seam copper dormer roofs. North Country Unfading Purple (Hues of Heather), quarried in Newfoundland, Canada. Vermont Unfading Green (hexagonal bands). 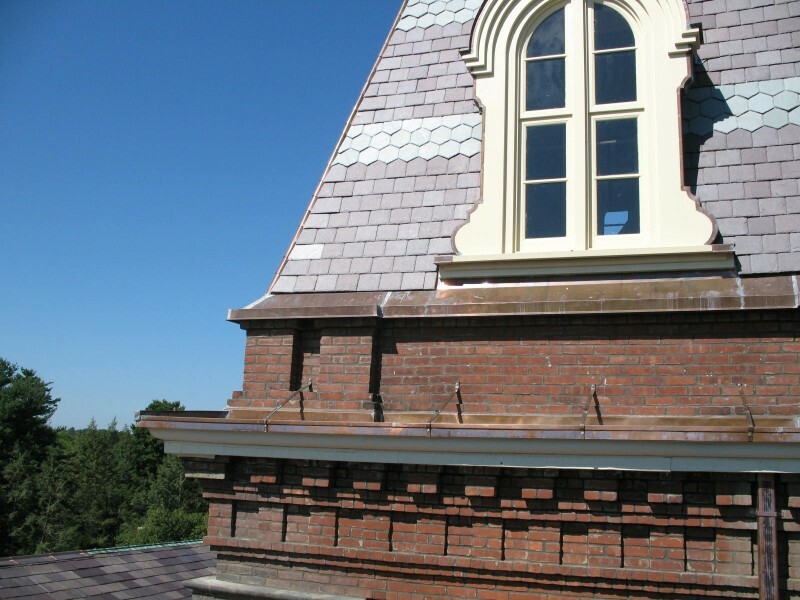 14x 7 on the Mansard roof, 16x8 on the upper hipped roof.